Each week we talk Michigan politics with Ken Sikkema, former Senate Majority Leader and Senior Policy Fellow at Public Sector Consultants, and Susan Demas, publisher of Inside Michigan Politics. The election results are in and Mike Duggan will be Detroit’s next mayor. His tenure begins while the city remains under the control of an emergency manager. What does his win say about what Detroit voters want in their next mayor? And then, the city of Royal Oak passed a human rights ordinance, it provides protections against discrimination for lesbian, gay, bisexual, and transgender people. Also, Lansing, Jackson, and Ferndale all passed ordinances to decriminalize small amounts of marijuana. Does this give us any indication of where Michigan is headed on some of these social issues? Voters in Detroit elected Mike Duggan as mayor of Detroit. Duggan, the former CEO of the Detroit Medical Center, campaigned hard in Detroit neighborhoods prior to the August 7th primary. He then made history after he won the primary as a write-in candidate after he was booted off the ballot on a technicality. Duggan becomes the city's first white mayor since Roman Gribbs finished out his term in 1973. "Voters in three Michigan cities have a chance to give some legal protection to users of small amounts of marijuana. Ferndale, Jackson and Lansing would ignore possession of an ounce or less of marijuana on private property. People must be at least 21 years old," the Associated Press reports. 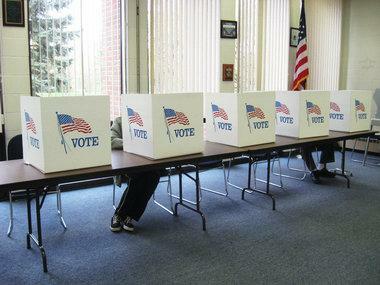 Voters in the two west Michgian cities could vote to turn Saugatuck and Douglas into one town. Detroiters elect a new mayor on Tuesday. If the polls are to be believed, the race between Mike Duggan and Benny Napoleon isn’t even close. But that hasn’t stopped the race from getting expensive—or nasty. The frontrunner, Duggan, wasn’t even on the primary ballot. He was thrown off over a technicality because he hadn’t lived in Detroit for a full year before filing his ballot petitions. 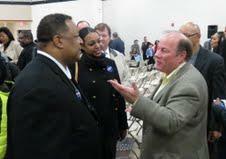 But Duggan surprised many by winning handily as a write-in candidate. Since then his campaign has seemingly been on cruise control. 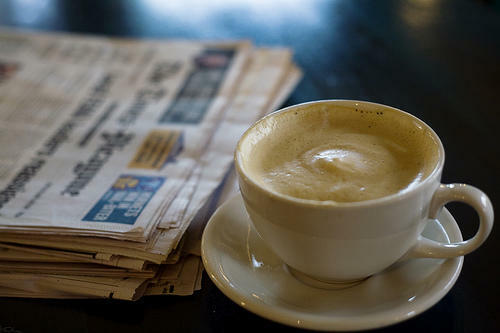 Today’s papers are reporting the results of a new poll showing one of the candidates in the Detroit mayor’s race leading the other by almost a 2-1 margin. But there’s another, less well-known poll that may tell the real story of this and most elections. Unlike opinion polls, this one has hard numbers. It is the money poll, and in this one, Mike Duggan is leading Benny Napoleon by almost ten to one. That’s based on the latest reports filed by Political Action Committes, or PACs, which raise money for campaigns in this state. They usually exist to raise money for candidates for office. The PAC supporting Napoleon, Detroit Forward, had raised $303,000 dollars, as of ten days ago. The PAC supporting Duggan, called Turnaround Detroit, $2.8 million. We are a week away from what has been the strangest, perhaps most important, and most disappointing mayoral election in the history of Detroit. As nearly everyone knows, Detroit is under an emergency manager, and going through bankruptcy proceedings. Whomever is elected will be largely a figurehead till the emergency manager leaves, something unlikely to happen until next fall, or later. But when Kevyn Orr does say goodbye, the new mayor will take over leadership of a city that may be shorn of debt, but which will need to get on its feet, fast. Detroit will still be desperately poor. It cannot expect much new help from either the state or federal governments. 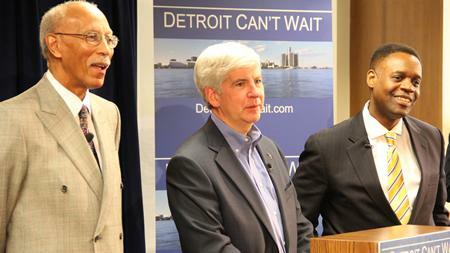 Nor is anybody likely to lend Detroit any more money in the foreseeable future. 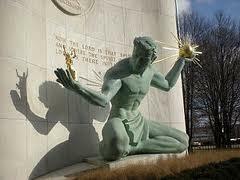 What Detroit has to do is find a way to serve its citizens and stay solvent. While no one man or woman can do that alone, the citizens have a right to expect the candidates for the city’s top job to tell them how they’d hope to accomplish that. Prescription-free emergency contraception is supposed to be available over-the-counter, across the country, for women of all ages. But, for some, where you live matters. On today's show we found out about the uneven access to Plan B in Native American communities. And the Yankee Air Museum has been given more time as it tries to save part of an historic factory. Will the Willow Run bomber plant be saved? And we met a woman using graffiti in a very unique way. Have you heard “The Michigan Poem?” We spoke to the Kalamazoo performance duo who wrote it. Also, we took a look at child passenger safety laws and how to keep kids safe during car rides. First on the show, we turned to Detroit's Mayoral election. Voters in Michigan's largest city will head to the polls one week from tomorrow. Within that race for Mayor is the issue of race. There is a white candidate: Mike Duggan - former Detroit Medical Center CEO, and a black candidate: Wayne County Sheriff Benny Napoleon. As part of the Detroit Free Press' endorsement of a Mayoral candidate, our next guest penned yesterday's column in the Freep about the complex role that race is playing in this election. Stephen Henderson is the Editorial Page Editor for the Detroit Free Press, and he joined us today. Let's turn to Detroit's Mayoral election. Voters in Michigan's largest city will head to the polls one week from tomorrow. Stephen Henderson is the Editorial Page Editor for the Detroit Free Press and he joined us today. Next Tuesday, Detroiters will elect a new mayor. Voters will decide between Mike Duggan and Benny Napoleon. Fifty-eight percent of likely voters surveyed said they would vote for Duggan, while 32 percent said they would cast their ballot for Napoleon, the poll showed. Ten percent of those surveyed said they are undecided, which is not good news for Napoleon; even if he managed to take all the undecided votes, he would still fall short of Duggan’s total. A Detroit Free Press/WXYZ poll found a similar result last month. Election day is 10 days away. Detroiters will elect a new mayor in less than two weeks—but the candidates are being pretty tame. Former Detroit Medical Center CEO Mike Duggan and Wayne County Sheriff Benny Napoleon found little to disagree about during a Detroit Economic Club forum Wednesday. Both agreed that Detroit shouldn’t look to sell or regionalize city assets—although Detroit emergency manager, Kevyn Orr, could make those moves anyway. In four weeks, Detroit will choose a new mayor. Some people are saying this is a fairly meaningless exercise. After all, everything is now controlled by Emergency Manager Kevyn Orr. Orr, and Federal Bankruptcy Judge Steven Rhodes. But within a year, city council will regain the power to take back control of Detroit for itself and the mayor. By that time, or soon after, the bankruptcy too should be over. So who the mayor is and what he does will matter -- perhaps more than ever. 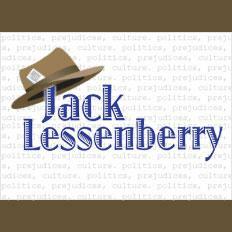 Each week, I review the news with political analyst Jack Lessenberry. This week we discuss how the government shutdown will affect Michigan, new endorsements in the Detroit mayor's race, and the state agreement to fund Belle Isle. Detroit's police and firefighters have each chosen their pick for mayor. As Michigan Radio's Sarah Cwiek reported, the police want Napoleon. And the firefighters want Duggan. Ladder 19 illustrates some the problems the department faces. The department left the station dark for periods of time, and the downtime lead to repeated lootings of the facility, which is now unusable. “At a time when Detroit’s future is literally being shaped amidst financial turmoil, Mike’s commitment to the security and safety of the public and our members was critical to him winning our endorsement,” Teresa Sanderfer, Local 344’s Secretary, said in a statement. 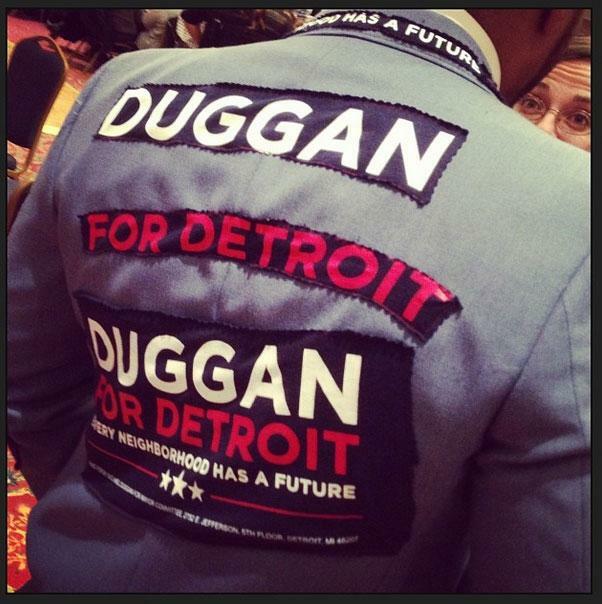 Polls show Duggan with a lead over Napoleon - with 26% "undecided." Law enforcement officials are choosing sides in the Detroit mayor’s race. And perhaps not surprisingly, Wayne County Sheriff Benny Napoleon has earned their support. Some major Detroit Police and Wayne County Sheriffs union officials endorsed Napoleon Tuesday, as did Wayne County prosecutor Kym Worthy. Worthy says that when it comes to tackling Detroit’s crime problem, Napoleon “gets it,” unlike current leaders. DETROIT (AP) - Officials involved in a recount of votes in Detroit's mayoral primary have sent some ballots for review of possible fraud. The Detroit Free Press reports the Wayne County Board of Canvassers went through absentee ballots Tuesday and found some where write-in candidate Mike Duggan's name had been typed, some cast using pencil and some on which corrective fluid was used. The board voted to send the ballots that had Duggan's name typed to prosecutors and a judge for review. Detroit Mayor Dave Bing will finish his term at the end of the year, and according to Matt Helms of the Detroit Free Press, Bing is going out feeling frustrated. The state House took final action yesterday to approve a Medicaid expansion in Michigan. It now awaits Governor Rick Snyder's signature. However, the bill does not have immediate effect, meaning it won’t start until the spring, instead of in January. The delay will cost the state $7 million a day in federal funds. "The board of state canvassers has declared Mike Duggan the winner of Detroit’s mayoral primary. The state took over the issue after Wayne County elections officials threw out thousands of write-in votes based on how they had been tabulated. Duggan was a write-in candidate. The state restored more than 24-thousand votes to Duggan, giving him a big margin of victory over Wayne County Sheriff Benny Napoleon," Sarah Cwiek reports. "Detroit's state-appointed emergency manager testified that access to casino tax revenues is key to the city staying afloat financially. During the deposition, Kevyn Orr said he has 'no plans to use art to relieve the liquidity crisis that the city is in now,'" the Associated Press reports. The Michigan board of state canvassers has declared Mike Duggan the winner of Detroit’s mayoral primary. 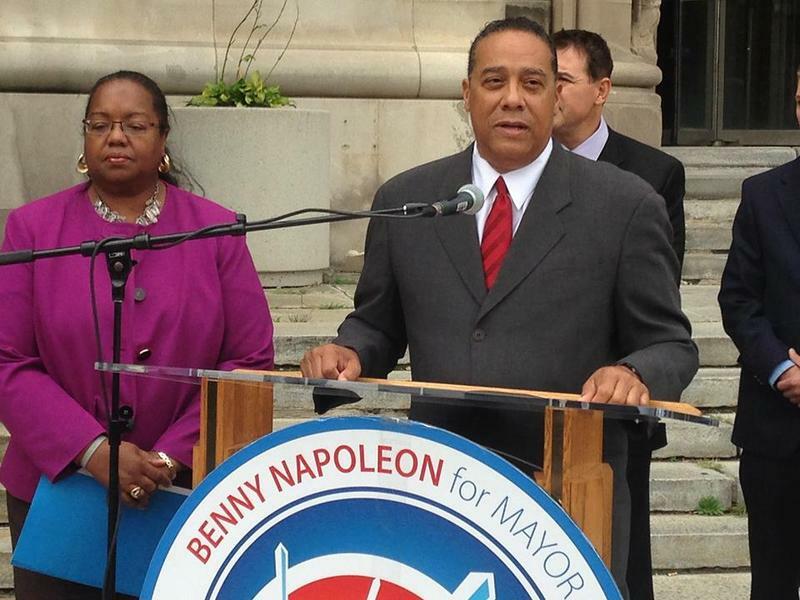 The Wayne County Board of Canvassers had Wayne County Sheriff Benny Napoleon winning the race. But they declined to certify the election, passing it up to the state. 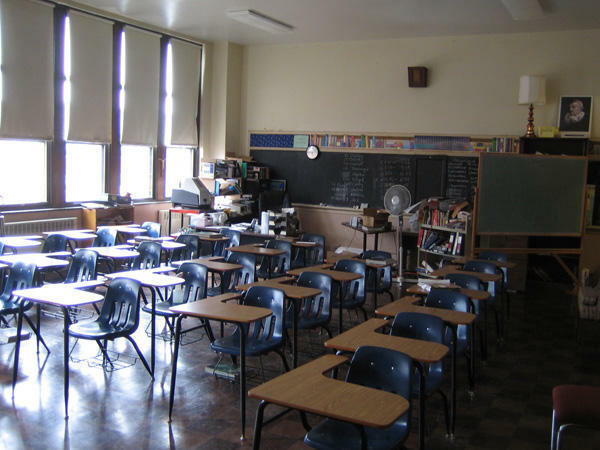 This week, Rina Miller and Jack Lessenberry discuss the Detroit Public Schools student quota, Washtenaw County’s identification card plan that includes undocumented immigrants, and the continuing campaigns of Detroit mayoral candidates Benny Napoleon and Mike Duggan. The Michigan Court of Appeals has reversed an order that would have prevented state officials from certifying Detroit’s mayoral primary. The state stepped in after the Wayne County Board of Canvassers passed on certifying the election because of a dispute over how write-in votes were marked and counted. A bill to expand Medicaid in Michigan passed the state Senate by a narrow vote earlier this week. But a vote to make those changes by January 1, 2014 failed. This means that thousands of people will have to wait until spring to receive health coverage. Michigan Radio’s Rick Pluta reports that Governor Rick Snyder hopes the Senate will revisit the issue as soon as Tuesday. As the school year quickly approaches, Detroit Public Schools are running out of time to recruit new students. Michigan Radio’s Kate Wells reports that the district’s summer goal was to gain 5,000 new students. If DPS does not meet this goal it may lose millions, resulting in possible layoffs and program cuts. The district is currently retaining 93% of their students. After a post-primary lull, the Detroit mayor’s race is heating up again—with each candidate positioning himself as the champion of the city’s neighborhoods. While the State Board of Canvassers sorts out who actually won the primary, Detroit Medical Center CEO Mike Duggan and Wayne County Sheriff Benny Napoleon jumped back into the spotlight this week. State elections officials will re-tabulate some of the votes cast in Detroit’s mayoral primary. But they won’t throw out thousands of write-in votes because of how election workers marked them. That’s good news for candidate Mike Duggan, who according to unofficial results was the top vote-getter in the August 6th primary. But Duggan ran as a write-in candidate. And different election workers marked those votes differently—some with numbers, others with hash marks. This week, Rina Miller and Jack Lessenberry discuss the certification of Detroit’s mayoral primary results, the Detroit ACLU’s case against the FBI, and a union’s “fee-for-service” for employee grievances. 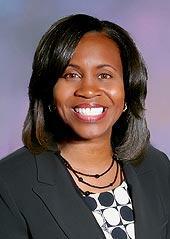 An interview with Jocelyn Benson, interim dean of Wayne State University's law school. As you've likely heard by now, a state election panel will have to decide the official outcome of Detroit's mayoral primary. That's because Wayne County's election board refused to certify the election. It should be noted that the county election board acted on the very last day before the deadline to certify the election. The controversy centers on some 20,000 write-in votes that may have been incorrectly marked by Detroit poll workers. 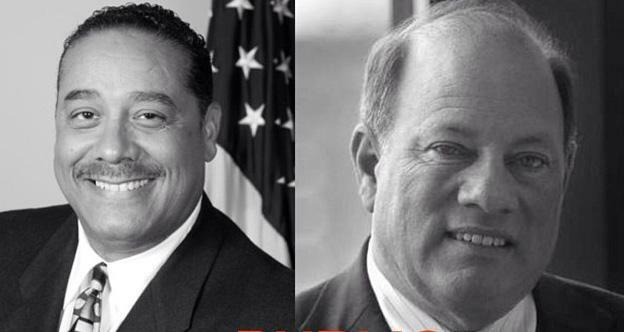 Former Detroit Medical Center CEO Mike Duggan appeared to win the primary handily over Wayne County Sheriff Benny Napoleon. Despite running as a write-in candidate, Duggan won by about 16 points, according to unofficial results. But if these almost 20,000 write-in votes get thrown out, the two winners would switch places, with Napoleon coming out on top, and former Detroit Medical Center Mike Duggan finishing second. 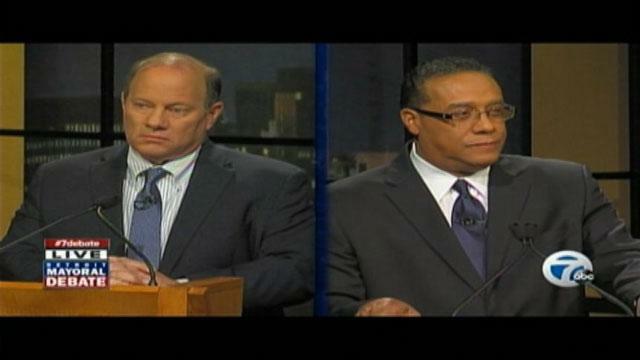 Whatever the outcome, Duggan and Napoleon will face off in November. But this drama raises many concerns, including the ability of Detroit poll workers to do their jobs properly, whether there needs to be a recount, and whether---as suggested by Benny Napoleon--the U.S. Department of Justice needs to babysit the big November election. Jocelyn Benson, interim dean of Wayne State University's law school and an expert in Michigan's constitutional and election law, joined us today to help us sort this all out. Detroit city clerk: Move to disqualify votes "smacks democracy right in the face"
The Detroit city clerk is dropping responsibility for Detroit’s mayoral primary debacle squarely in Wayne County’s lap. 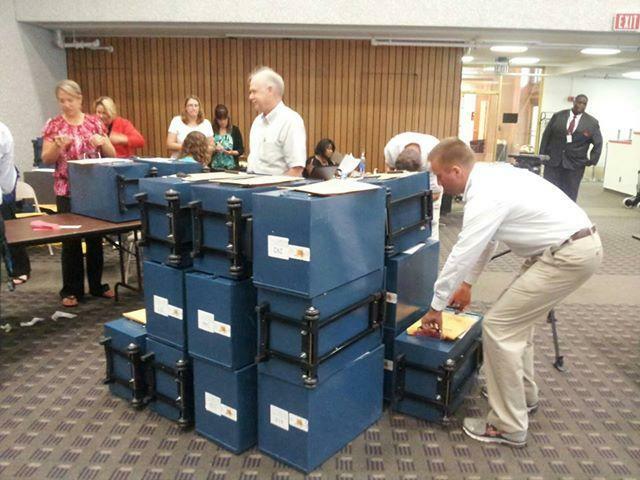 The Wayne County Board of Canvassers declined to certify the election results Tuesday. Discrepancies between how some poll workers tallied votes on precinct worksheets put almost 20,000 votes for write-in candidate Mike Duggan in jeopardy. 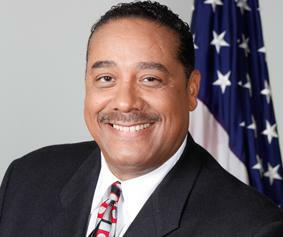 Based on unofficial results, Duggan won the primary handily over Wayne County Sheriff Benny Napoleon. But discounting those votes would have made Napoleon the winner. The state will take the extremely rare step of stepping in to certify the results of Detroit’s mayoral primary. That’s after a Wayne County elections board refused to count 18,000 write-in ballots because they were improperly marked by poll workers. Michigan’s Elections Director Chris Thomas says those ballots should be counted. Lily Tomlin and Oliver Cromwell have nothing in common, as far as I know. But I thought of both this morning when I was considering the news from Detroit and Lansing. That was exactly the case when the Wayne County Board of Canvassers met to certify the totals in the Detroit mayoral primary election two weeks ago. There should have been no mystery about the results. 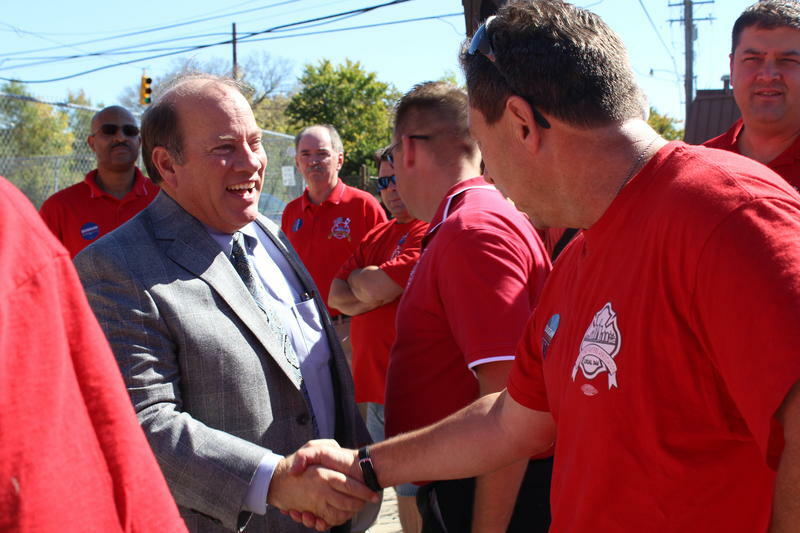 Mike Duggan had been ruled off the ballot on a technicality, but won in a write-in landslide. He got nearly twice as many votes as his closest competitor, Wayne County Sheriff Benny Napoleon. But Wayne County Clerk Cathy Garrett yesterday announced she was throwing out nearly half of Duggan’s votes, because poll workers merely recorded them, rather than make a hashtag mark next to them. Not only did this cavalierly disenfranchise twenty thousand voters, it looks and smells highly suspect. Cathy Garrett is the sister of Al Garrett, a prominent union official who is one of Benny Napoleon’s biggest backers. Now her decision would not have changed the lineup for the November runoff. It will still be between Duggan and Napoleon. But Garrett’s maneuver would have allowed Napoleon’s backers to claim he “won” a primary he actually lost. Detroit writer Elmore Leonard passed away yesterday at age 87. Michigan Radio’s Kate Wells reports that Leonard was the author of 45 novels and was in the middle of number 46 when he suffered a stroke earlier this summer. Leonard’s work has often been adapted to well-known films such as 3:10 to Yuma, Out of Sight, and the television series Justified.